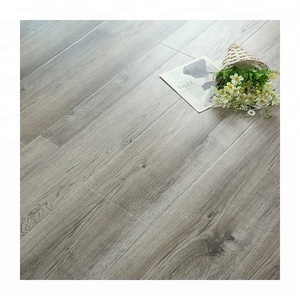 Sandia Laminate Flooring Specification: Thickness Range: 6-20mm Glue: E2 Density: 700-850kg/m3 Regular size: 1220x2440mm Maximum Size: 1290x2900mm Main Equipment: Mill: VALMET introduced from Sweden Press line: 42m continuous press line by Yalian Sandiing Machine: Sufoma Details Show Of fiberboard mdf e2 e1 18mm Usage Of MDF Board Why Choose Sandia MDF Board9 1.High bending strength 2.Eco Fiberboard 3.Little linear expansion coefficient 4.Strong nail holding 5.Moisture proof and easy work,moisture content 4% ~6.6% Careful Package Of Sandia MDF Board Professional Equipment Of Sandia MDF Board Best Seller Of Sandia: Click To Find More Surprise&gt;&gt;&gt; Various Payment Type Of Sandia Call Me To Get Free Sample! The top and four sides with one sheet of protected board which is not less than 4mm MDF or 8mm Particle board . Our company enjoys independents trade rights and has a weath of experience in internatinal trade. If there is any interests, please feel free to contact with us. Our aim is to supply high quality product with reasonable price. Shiping: We have professional document and shipping department to provide the best service. Now our company owns 4 sales teams and 4 document teams to deal with export, and 6 QC teams to guarantee our quality. 2) Denser than plywood and not easy to delaminate or edge-collapsed. 2) Payment terms: L/C at sight or T/T with 30% deposit. 3) Delivery time: within 15 days after T/T with 30% deposit or L/C at sight. Plating the brushed silver on the surface, which is on high-end fashion styles and have anti-microbial and anti-corrosion effect. Quality: on high level Work: The using life is at least 50 years and never get discolor. Samples Offer: TEMAX will offer free samples in reasonable quantity for customer quality checking. 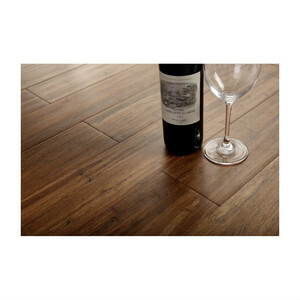 Alibaba.com offers 40,639 hdf for floor products. About 81% of these are engineered flooring, 1% are fibreboards, and 1% are doors. 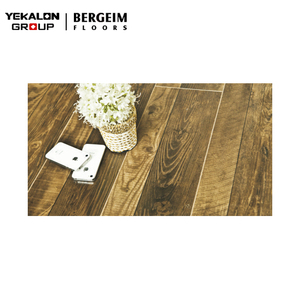 A wide variety of hdf for floor options are available to you, such as laminate flooring, engineered wood flooring. You can also choose from wood fiber, other plant fibers. As well as from outdoor, indoor. And whether hdf for floor is e0, e1, or e2. 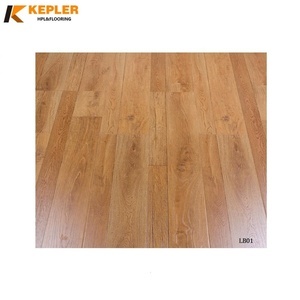 There are 40,617 hdf for floor suppliers, mainly located in Asia. The top supplying countries are China (Mainland), Malaysia, and Vietnam, which supply 99%, 1%, and 1% of hdf for floor respectively. Hdf for floor products are most popular in South America, North America, and Southeast Asia. You can ensure product safety by selecting from certified suppliers, including 15,642 with ISO9001, 13,207 with ISO14001, and 2,343 with OHSAS18001 certification.